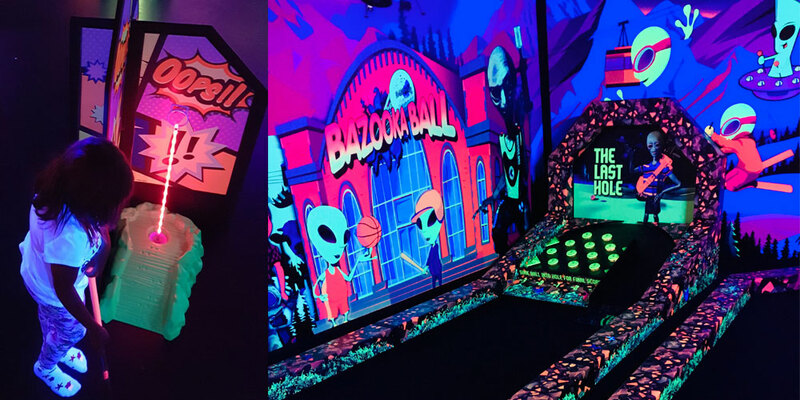 You already know Media Vision can create and build fantastic Glow-in-the-Dark Combat and Laser Tag arenas using our exclusive large format Fluorescent Printing process. 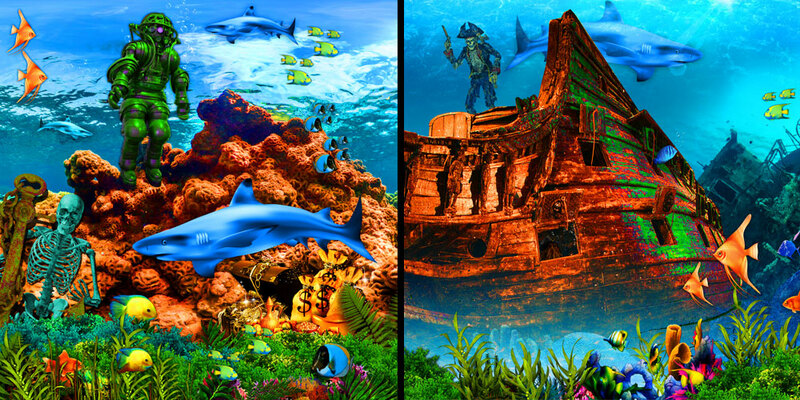 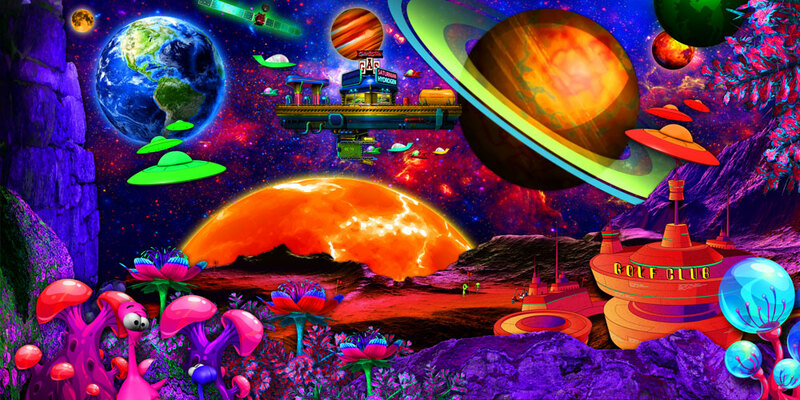 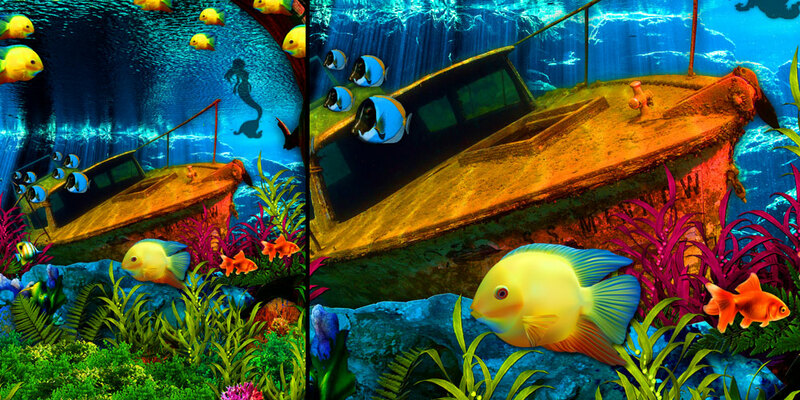 Why not use that same skill and technology to build the ultimate Mini Golf course? 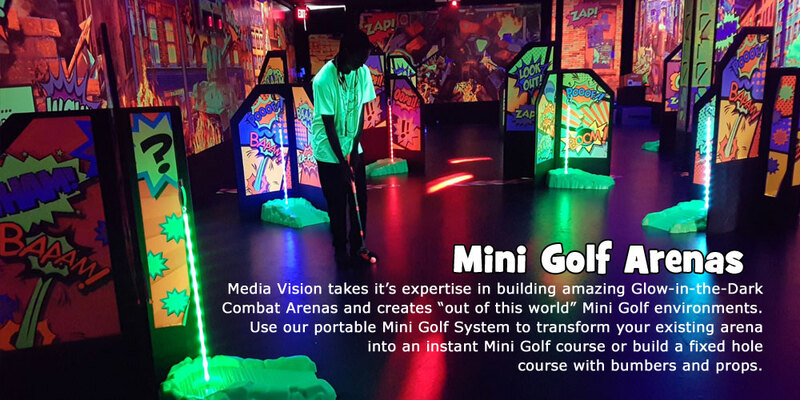 Hearing requests from our customers Media Vision offers two Mini Golf options. 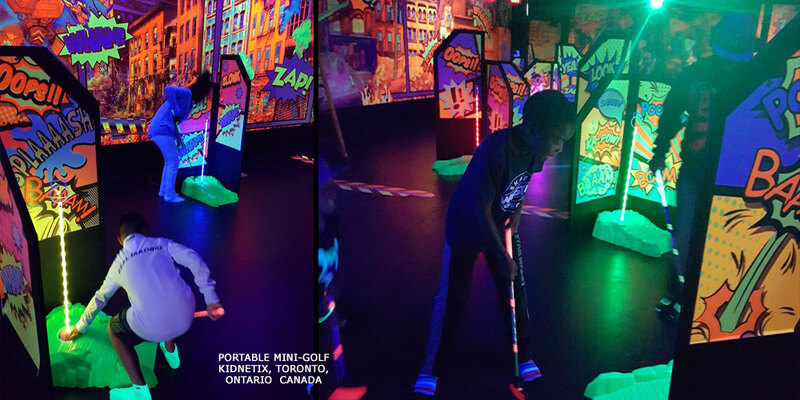 Our portable Mini Golf system features heavy duty moluded Glow-in-the-Dark Golf Holes. 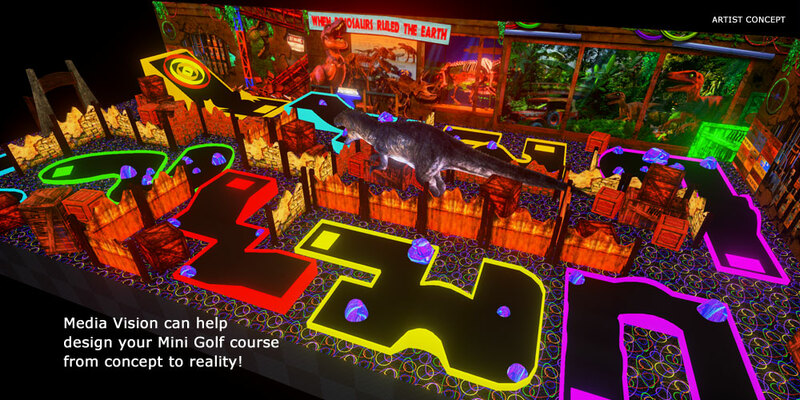 Turn your existing combat arena into a 9 hole Mini Golf course... INSTANTLY! 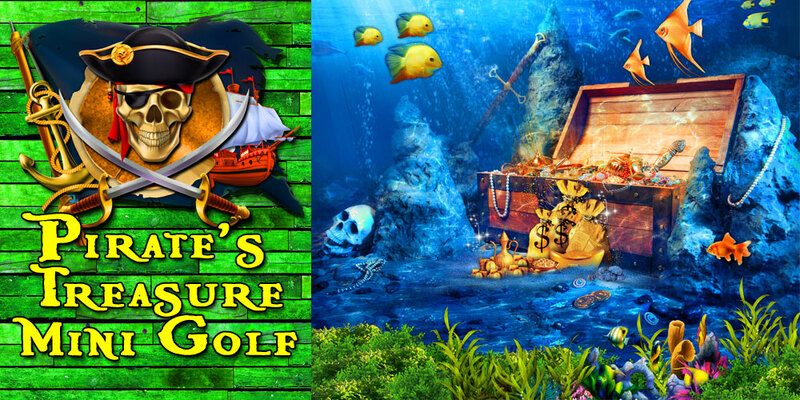 These durable Mini Putt Golf Holes are easy and fast to set up and are stackable for easy storage. 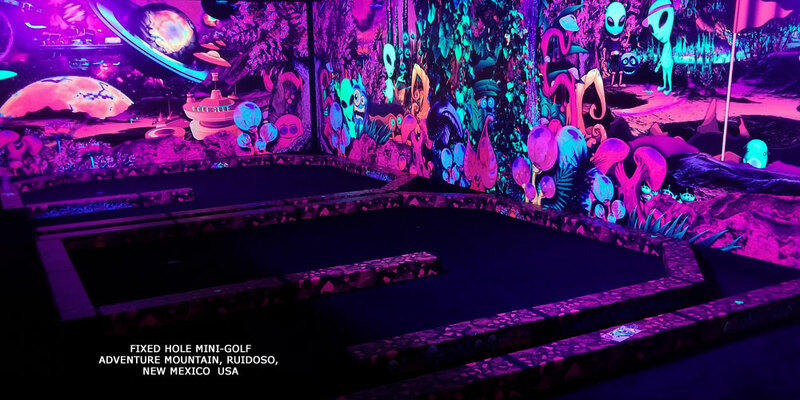 Complete with LED lighted hole flag poles, Glow-In-The-Dark putters, balls and accesories. 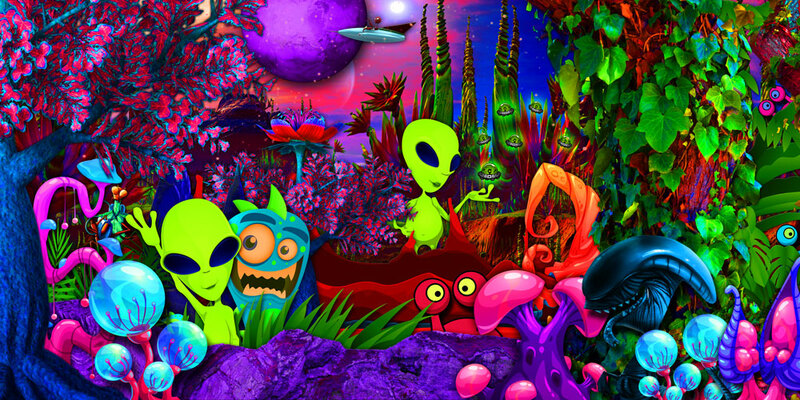 Kid tested and Family approved for tons for Fluorescent Fun! 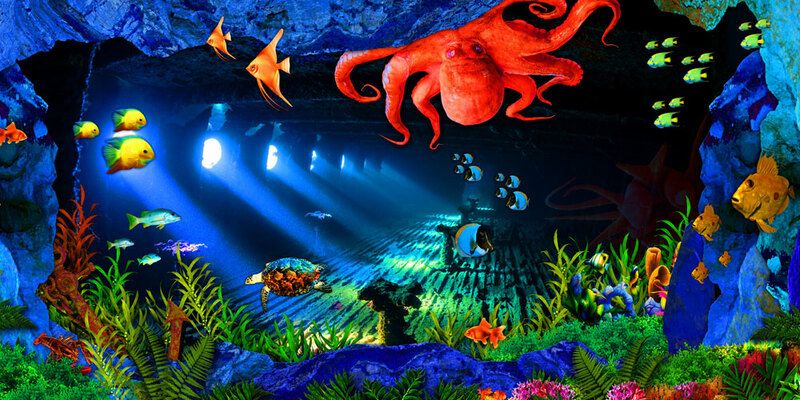 Great for indoor facilities or a perfect addition for any rental or party event company! 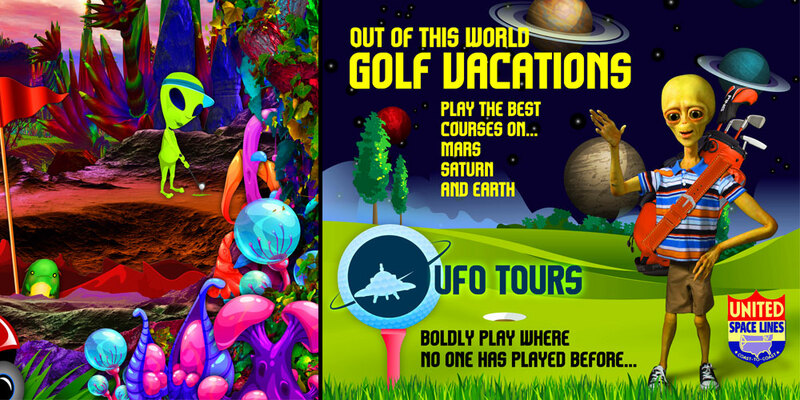 Build a 9 hole Mini Golf course in any backyard or field or open space! 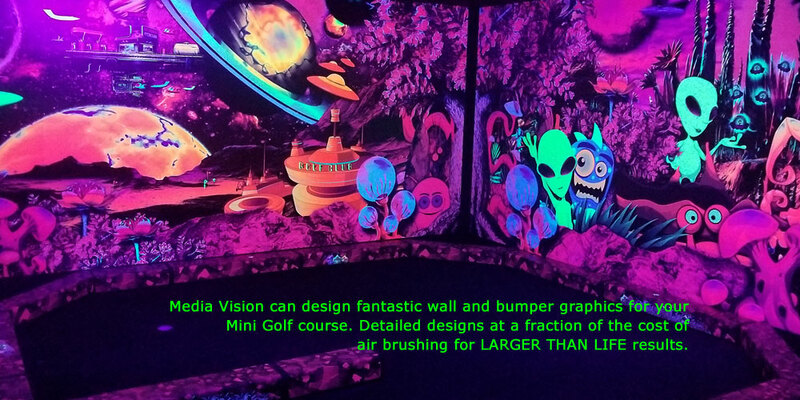 Media Vision can help you create your permanent fixed-hole Mini Golf Course! 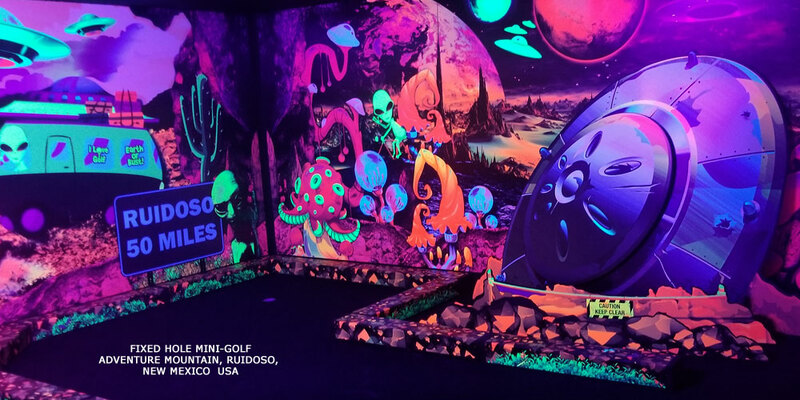 Media Vision takes its expertise in building amazing Glow-in-the-Dark Combat Arenas and creates "out of this world" Mini Golf environments. 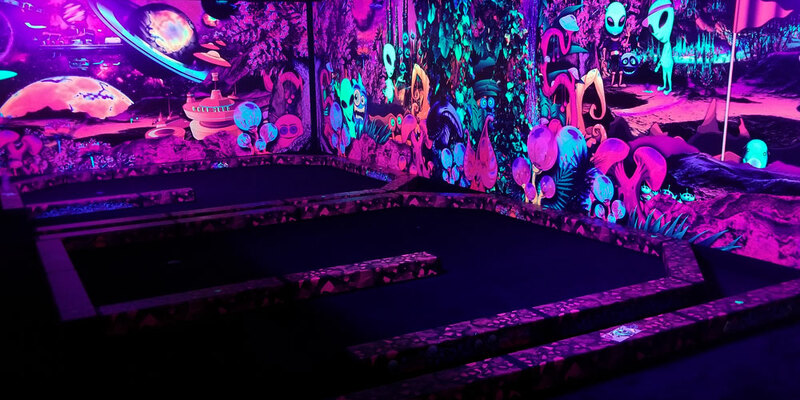 Build a fixed hole Mini Golf course using our Fluorescent Prints to theme out your room with Glow-in-the-Dark bumpers and props. 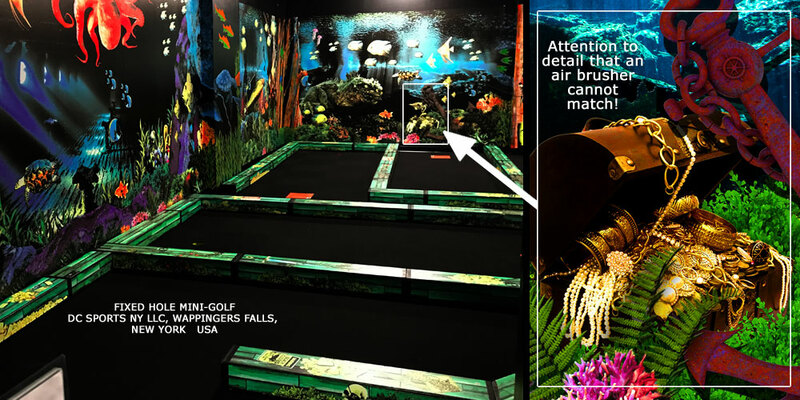 Media Vision can help design your Mini Golf course from concept to reality!